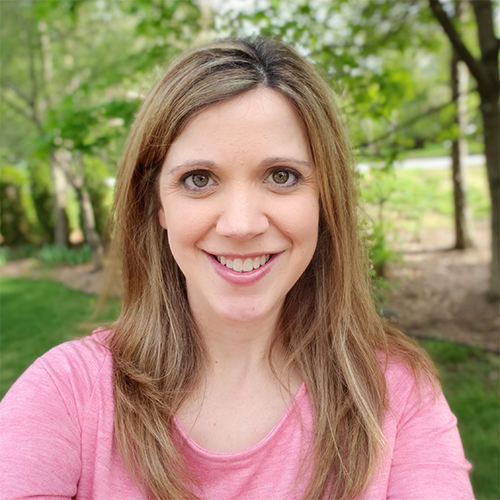 I'm so excited to be participating in my first blog hop! 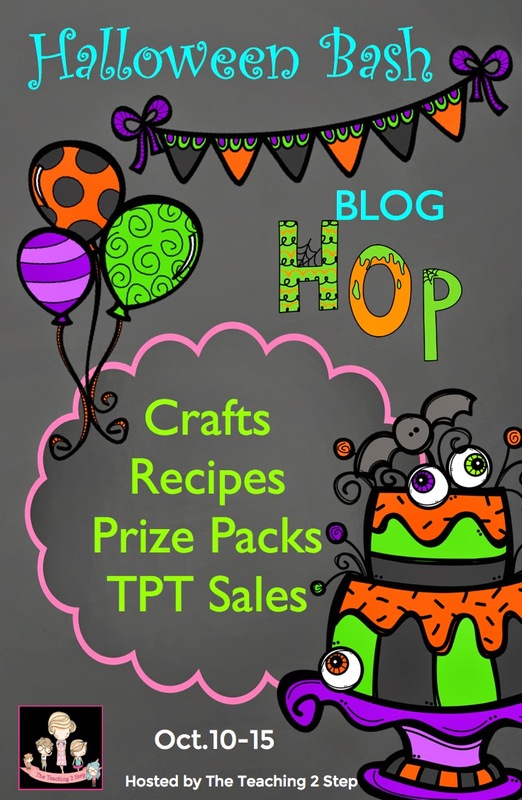 The ladies at The Teaching 2 Step are hosting this awesome Halloween Bash Blog Hop. 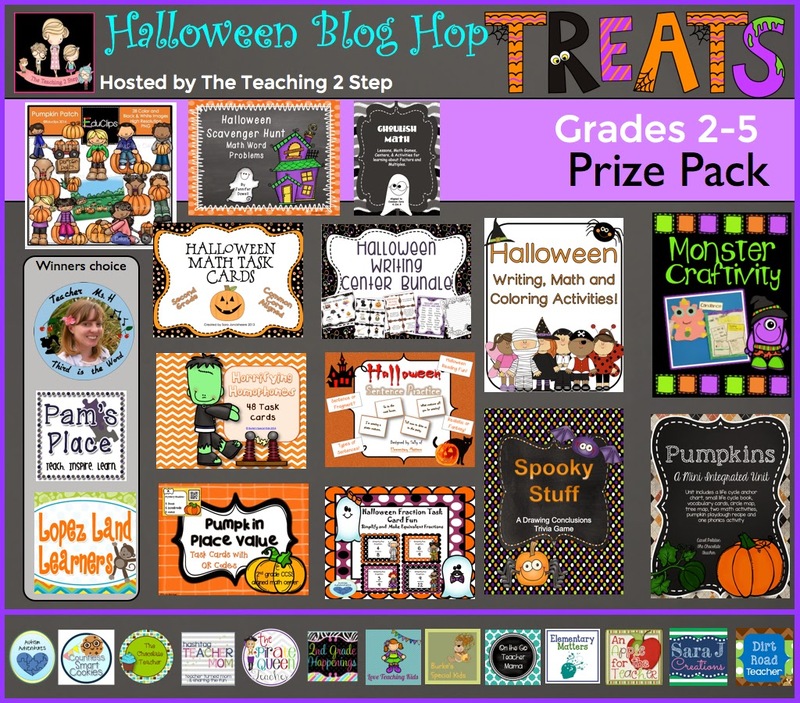 You are going to find crafts, recipes, prize pack giveaways, TpT sales and lots more Halloween goodies. Let's get started!!! I have a little secret. I don't really like pumpkin. 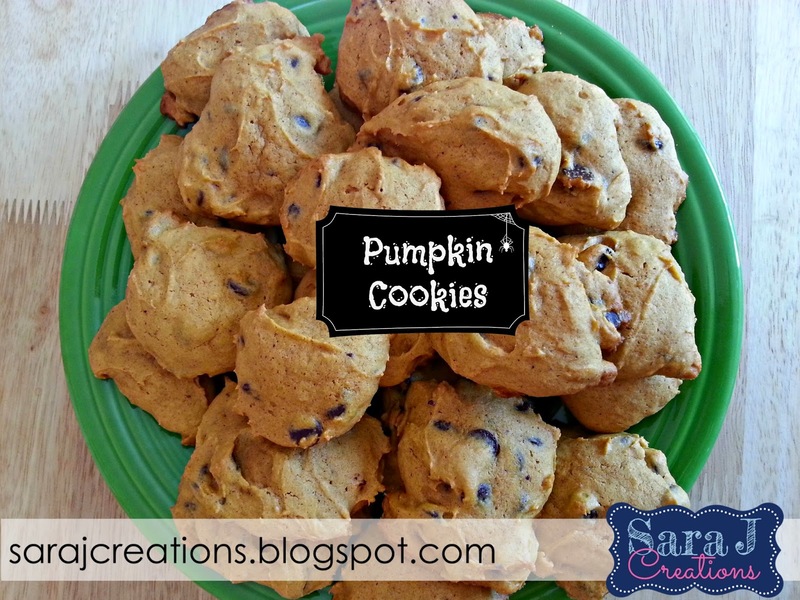 As fall approaches everyone runs for their Pumpkin Spiced Lattes and starts pinning pumpkin recipes on Pinterest. Not me. I don't love pumpkin pie. I eat it when it is the only option. I'm not sure what it is..the texture maybe? I know some of it is the spices that go along with it. I don't really like nutmeg so maybe that is what I associate with pumpkin. 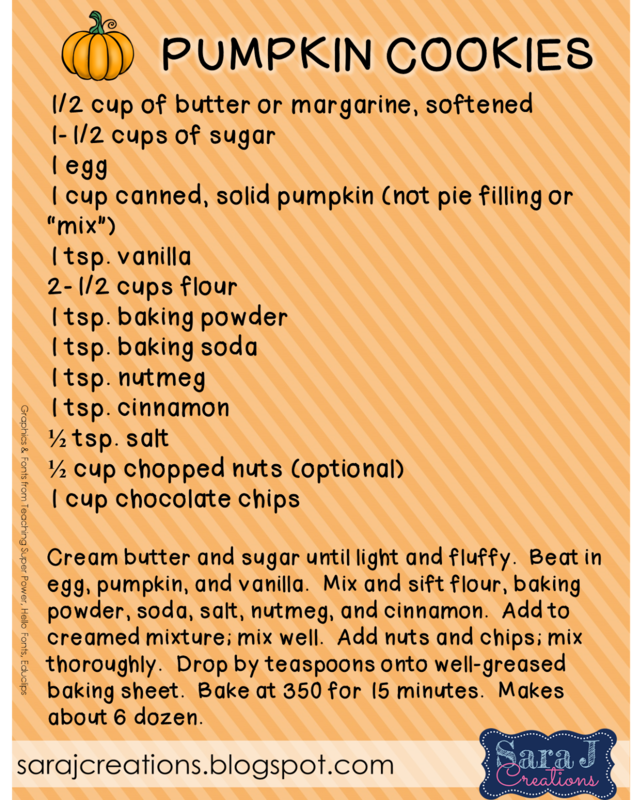 But I have found some recipes that have enough balance of other flavors that I actually enjoy the pumpkin part. This cookie recipe is one of those. I LOVE these cookies. My mom has made them for years and they just say fall to me. I don't add the chopped walnuts like she does but they are still just as good. I also must make much bigger cookies because I only get about 3 dozen cookies. Both schools that I taught at had a costume parade on Halloween. As the teacher, I hated it because I had to get 30 kids in costume with only one bathroom in the classroom. And it was just craziness that day!! But the kids absolutely loved it. One of the activities I liked to do on Halloween was called Guess My Costume. The students would come in so excited to talk about their costumes. I told them that they had to keep them a secret. I would pass out these two costume outlines. On the blank outline they would draw themselves in their costume. 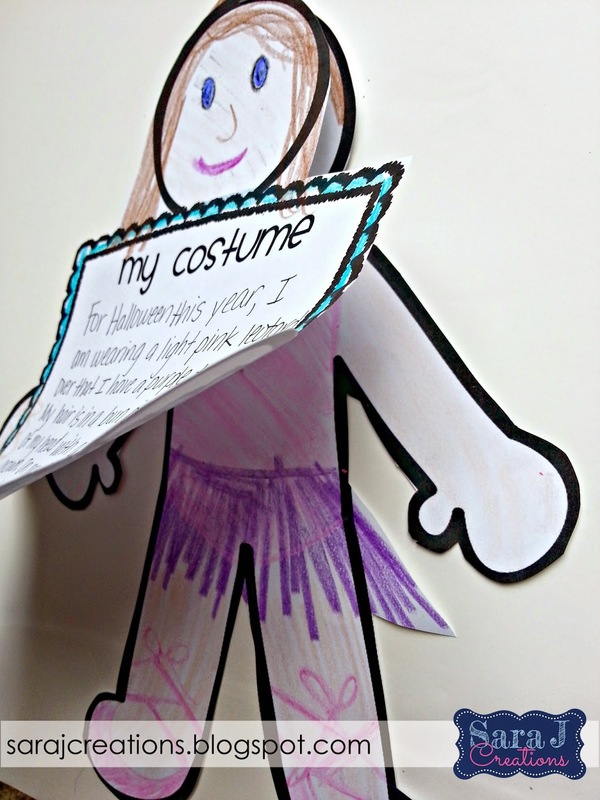 On the outline with the box, they would have to write in complete and detailed sentences all about their costume. 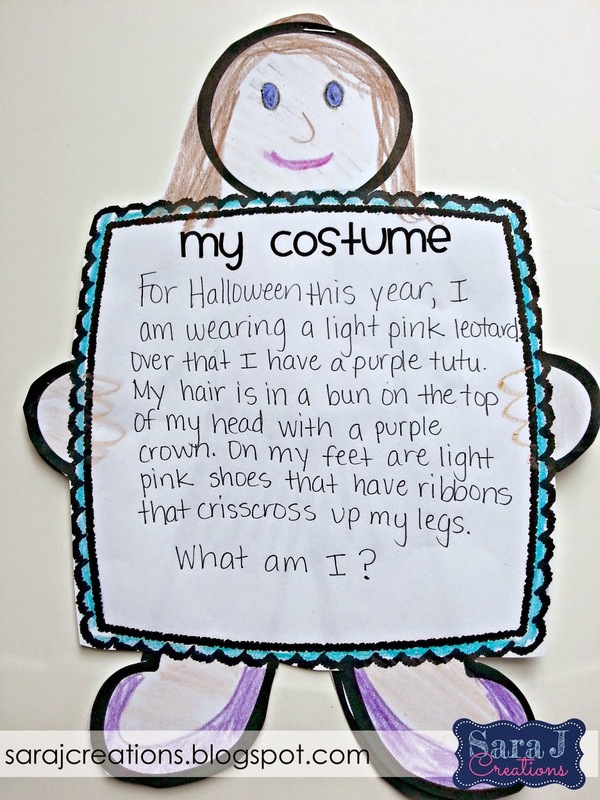 They could NOT say what they were dressing up as, but simply give detailed clues to help their classmates guess. Once both pages were complete, they cut them out and stapled them together at the very top. Then I would have them hang them up on their lockers. When we had time throughout the day, they would read each other's descriptions and then try to guess before flipping up to look at the picture. They had fun with it and I felt like it was a little more educational because they had to work on writing skills such as punctuation, capitalization, adjectives and details. 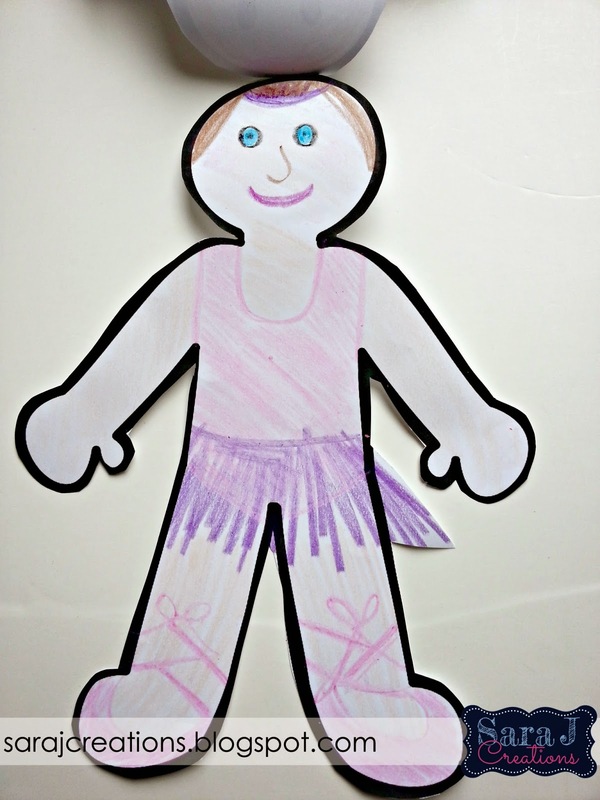 Click HERE to download your FREE copy of this activity! 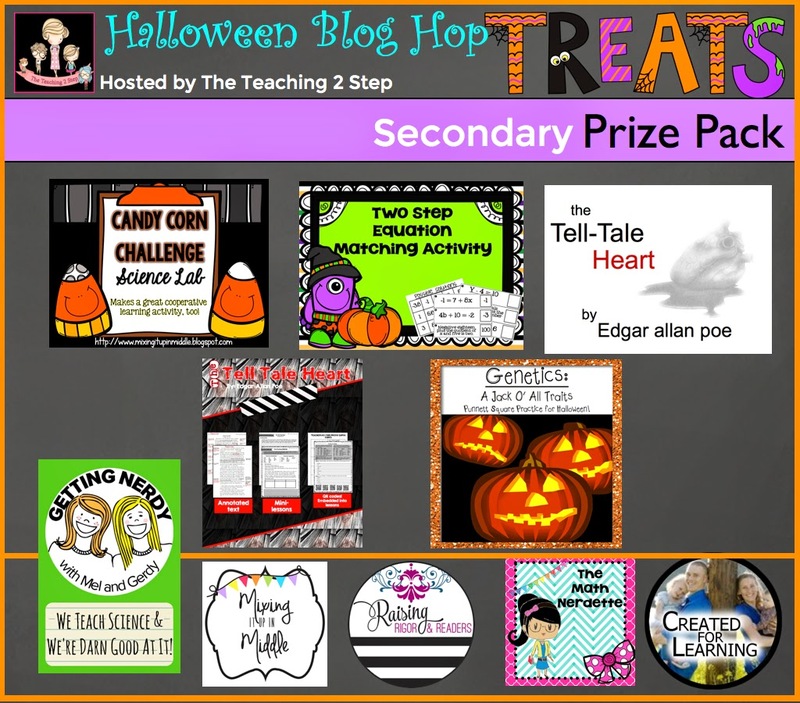 The item that I donated to the giveaway is my Halloween Math Task Cards. These are Common Core aligned for second grade but could be used as a third grade review. There are so many ways to use task cards in the classroom and I include many ideas in the download. These would be perfect the week of Halloween or even on Halloween during math time to keep them working while they are so excited. You could even use these as a center during a Halloween party. There are 32 cards in this set and they come in black/white and an identical colored version. Also included are a recording sheet and answer key. Some of the topics covered in these task cards include telling time, elapsed time, base ten blocks, expanded form, comparing numbers, ordering numbers, addition and subtraction story problems, and even & odd numbers. Click HERE to see this item in my TeachersPayTeachers store. Have you tried searching HalloweenBash2014 on TeachersPayTeachers? Do it and you will find items from each participant on sale exclusively for this Blog Hop. I have Halloween Bingo on sale for 50% off. That means you get it for $3!!!! I usually played bingo with my class on Halloween. Sometimes we played in the morning before the parades and parties. Some years we did it as an activity during our party. My product has 30 different bingo boards. Each square has a picture with a fall/Halloween picture with a label underneath. The boards come in full color if you want to laminate them and use every them year. If you want to save ink, there is a black and white version included as well. There are also teacher calling cards in color and black and white. Just add bingo chips and you are good to go. TIP: Use math manipulatives (counters, bears, cubes, etc.) as bingo chips. Click the pictures below to head to my TpT store. I feel like every Halloween that I can remember was cold and rainy. I have many memories of needing to wear a coat over my costume. Not cool when you are a kid but that's fall in Michigan for you. I also have this memory of chili. Now I don't like chili and I swear my mom made it every Halloween (probably because it was cold and rainy) and we had to finish it before we could trick or treat. I remember gagging it down so I could head out for some candy. Whenever I bring this up, my mom has no memory of this so apparently she wasn't trying to scar me with forced chili eating on purpose! This was the only Halloween picture I could find from my childhood at my house. I turned this fabulous early 90s jr. bridesmaid dress into Miss America. I had several costumes like this as I got older and could make them myself...take something I already had and add a few accessories and BAM you've got a Halloween costume. This was really just an excuse to get to wear makeup and I clearly thought that a straight bold line of eyeliner made me look pretty! And that would be my older brother in the background. 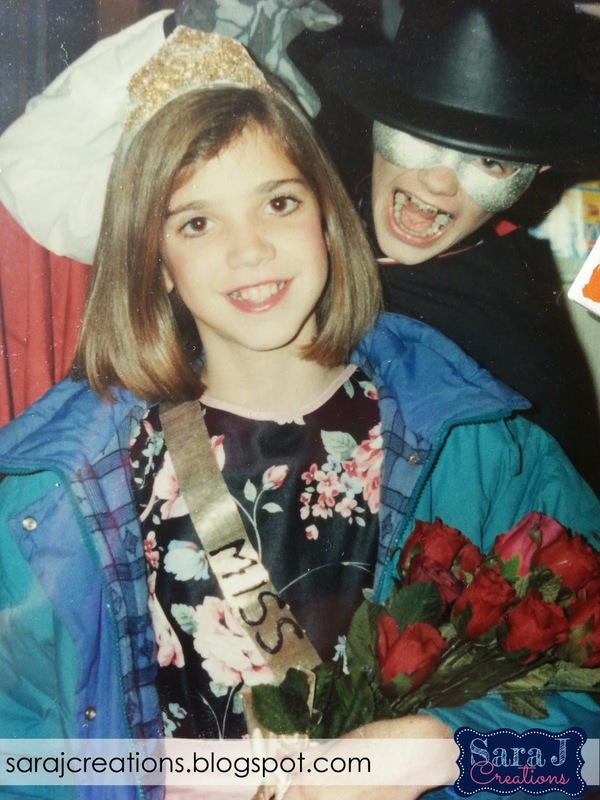 This must have been around the time that we saw the play The Phantom of the Opera. Check out all of these fabulous resources that you could win!! AWESOME!!! Just enter the rafflecopter for your chance to win. Thank you for joining The Teaching 2 Step Halloween Hop. I hope you enjoyed my post, did you know you can follow me on Pinterest and Twitter? 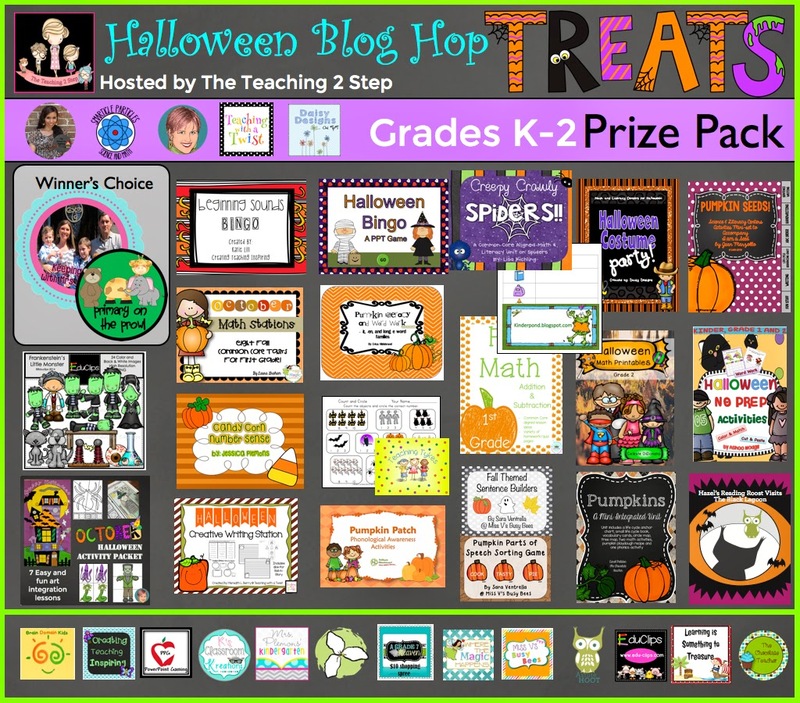 Hop through more Halloween Bash Bloggers below and find out what other goodies they have to share. And you've got me thinking we might have chili tonight. Haha. I would think you could use real pumpkin. I've never done that before since the puree is so readily available here but I just checked a can and there is nothing in it but pumpkin. I did a quick search and it looks like you can cook the pumpkin down and puree it yourself and it gives the equivalent amounts. http://www.bhg.com/advice/food/substituions/how-do-i-use-fresh-pumpkin-in-a-recipe/ If you try it, let me know how it works out. Thank you! I'm working on a post to pay it forward to other blogger friends! Thanks Melissa! That was my exact thought when I made it!! Hope your kids enjoy it!